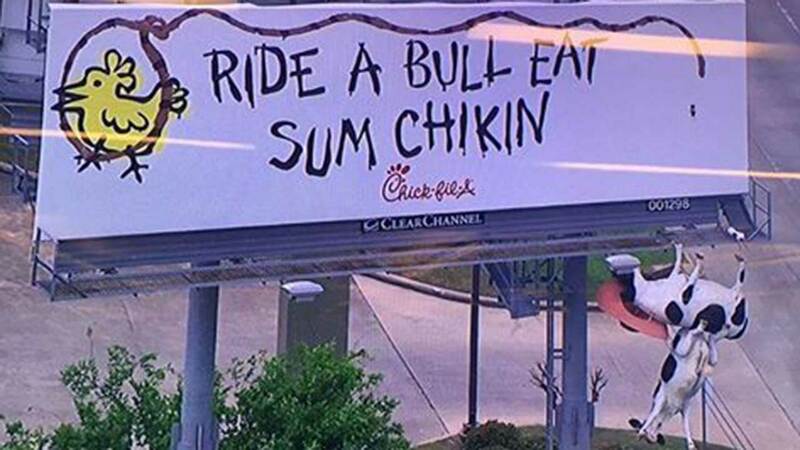 HOUSTON (KTRK) -- Drivers along the North Freeway had to do a double-take Wednesday after two of the Chick-fil-a cows were seen dangling from a billboard. It's not clear how the cows on the billboard along I-45 at Rankin tipped over. Maybe it was the chickens getting their revenge! Either way, Clear Channel, the company that manages the billboards, says they'll have someone out to assess the situation and work to get it fixed quickly.